SANTA CLARA COUNTY, Calif. (KGO) -- A former jail guard accused in an inmate's death is now connected to Internet searches that could be damaging to his case. A source told the San Jose Mercury News that Rafael Rodriguez is tied to possible searches inquiring about whether someone can die from being punched in the armpit and stomach. 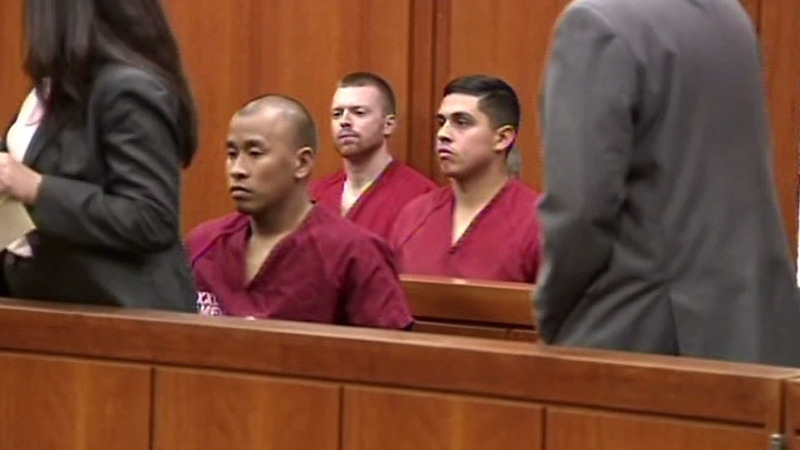 Rodriguez, Jereh Lubrin and Matthew Farris are accused of the beating death last month of inmate Michael Tyree at the Santa Clara County Main Jail. The three were in court Tuesday. The judge ordered them to stay away from county jails and inmates on the same floor where the death occurred. She also pushed back their plea hearing to Nov. 9.